One of my favourite Monty Python sketches is the All England Summarise Proust Competition, where contestant are required to précis all seven volumes of the French novelist’s masterpiece, “A la recherche du temps perdu”, in 15 seconds. None of them gets past describing the first few pages of the book. Writing a short introduction to the wines of Burgundy feels a little bit like that. How do you do justice to what is arguably the most complex wine region on the planet in the space of a few hundred words? To someone who is unfamiliar with the area and its wines, the path to understanding can seem impossibly steep and rocky. How do you get to grips with that intricate mosaic of vineyards, not to mention dozens of growers with the same or similar surnames? On the surface of it, Bordeaux is much easier to understand. It’s more than three times the size of Burgundy at 116,000 hectares and makes much more wine, but has only 57 as opposed to 100 appellations. Nor do you have to contend with the fact that one producer might easily vinify as many as 20 different wines. In Bordeaux, a single château rarely makes more than three. And yet Burgundy isn’t quite as complicated as it seems. For a start, you only have to contend with four grape varieties (Pinot Noir and Gamay for reds and Chardonnay and Aligoté for whites) and the overwhelming majority of wines are made from just two, Pinot and Chardonnay. Bordeaux, on the other hand, has nine grapes, six red and three white, blended in differing combinations. With the exception of Bourgogne Passetoutgrains, which mixes Pinot and Gamay, and sparkling Crémant de Bourgogne, all Burgundy is unblended. The next thing you need to understand about Burgundy is its appellation structure, which is shaped like a pyramid. The crucial difference between Burgundy, where “terroir” (rough translation: a sense of place) is almost venerated, and Bordeaux is that in the former it’s the vineyard that’s classified, whereas in the latter it’s the château. Even if a Bordeaux château buys and sells vineyards, it retains its rank. So how does the pyramid work? Basically, it’s divided into four bands. In descending order of quality (at least in theory), these are Grands Crus, Premiers Crus, village wines and regional wines. Respectively, these account for 2%, 10%, 36% and 52% of what Burgundy produces. The Grands Crus are the region’s elite. There are 33 of these (the seven Chablis Grands Crus are all lumped together). The vineyards are so well known that they are labelled solely with their name and that of the producer: Corton-Charlemagne, Montrachet, Chambertin, La Tâche and so on. 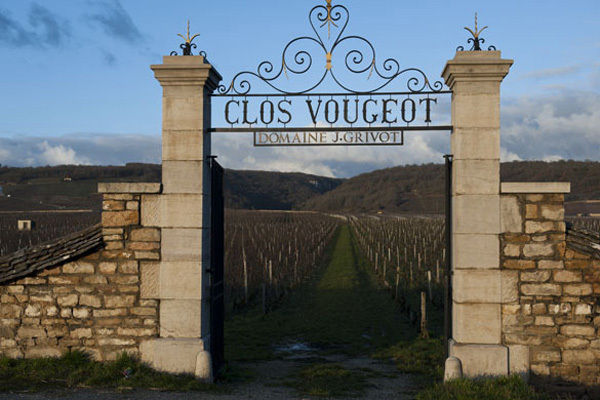 Not all the Grands Crus are equally good (Clos de Vougeot and Corton are the weakest), but these are generally the finest and most expensive Burgundies. The Premiers Crus are more numerous and I’ve never met anyone who can remember all 635 of them. (Beaune alone has 44.) The more you drink Burgundy, the more you will remember the best Premiers Crus, such as Meursault Pèrrieres, Chambolle-Musigny Les Amoureuses and Gevrey-Chambertin Clos St Jacques. The appeal of these wines is that, if you buy well, you can drink wines of Grand Cru quality at a lower price. These wines carry the name of the vineyard as well as the village in which it is located. The 44 village wines are exactly what they sound like: wines named after their village of origin, such Pommard, Meursault, Vosne-Romanée and Morey-St-Denis, which are generally lighter and less intense than the Premiers and Grands Crus, but can be really enjoyable in the hands of a talented winemaker. The 23 regional and sub-regional wines (Bourgogne Rouge, Bourgogne Hautes Côtes de Nuits, Bourgogne Côte Chalonnaise and so on) are blended across a wider area. These are the most basic of Burgundies and are generally to be avoided, except in very good vintages like 2009 and 2010 when overall quality was high, even at the simplest level. Unlike Bordeaux, where there are several league tables, there is no classification of producers in Burgundy, at least officially. A single vineyard will often be divided between multiple owners, unless it is what the French call a “monopole” in the hands of one producer, such as the Grands Crus Clos de Tart, Clos des Lambrays, La Grande Rue and Romanée-Conti. The tricky thing about Burgundy is that quality can vary dramatically between producers, even when their plots of vines are adjacent. Pinot Noir in particular is such as tricky grape to grow and make that there’s plenty of room for personal interpretation: room to fail as well as succeed. That’s why it makes sense to follow growers and négociants (merchants who buy grapes and wines from others, but often own their own vines, too) rather than vineyards or villages. There are certainly differences between, say, the wines of Meursault and Puligny-Montrachet or Volnay and Vosne-Romanée, but you should still focus on finding producers whose wines you like. Bad Burgundy, which ever village it comes from, can put you off the place for life. How do you discover the best producers? If they are already famous (see my list below), you just need to look at the price of their wines, which will generally be higher than those of their competitors. But what about the stars of tomorrow? The answer is that you need to taste as widely as you can, preferably in the region itself. There’s nothing like a barrel tasting in a cool cellar for honing your understanding of Burgundy, especially if you can subsequently walk through the vineyards from which the wines originated. Look, smell, taste and listen. Learning about Burgundy takes time, but that’s part of its fascination. The majority of the greatest bottles I have ever tasted have been Burgundies – wines that have touched my soul, heart and senses – but so have some of the worst. Burgundy will never be as reliable as Bordeaux, but I like that element of unpredictability. It’s worth putting up with a few disappointments to taste something truly sublime.